In a quest for the latest biotechnological discoveries and in order to ensure your satisfaction, Laboratories GERnétic Int. have conducted countless tests on new natural active ingredients. 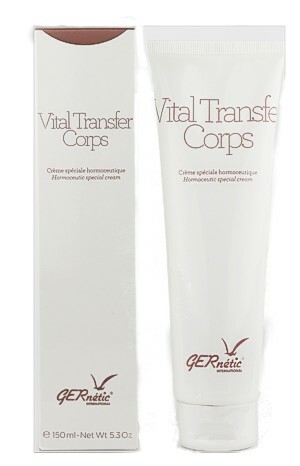 Le Concentré Réparateur by GERnétic is a highly effective product designed to slow down and reverse the process of ageing. Apply about 2 pumps to the whole face and neck. Concentré Réparateur can be used by itself or in conjunction with Crème Jeunesse or Crème Anti-Temps. Presented in an elegant, modern-looking pump-dispenser (25 ml). Concentrated solution of peptides with 17 amino acids including 8 essential obtained by the hydrolysis of glutamine-rich barley, wheat and oats. Palmitoyl pentapeptides 3 with lysi-threoni and threoni-lysi-seri sequences from the C-terminal part of collagen I.
Xylem sap containing numerous minerals and trace elements and vitamins. A tensor agent from Kigelia africana and Quillaja saponaria Molina trees.